Do you Remember this Fun, Thanksgiving Song? 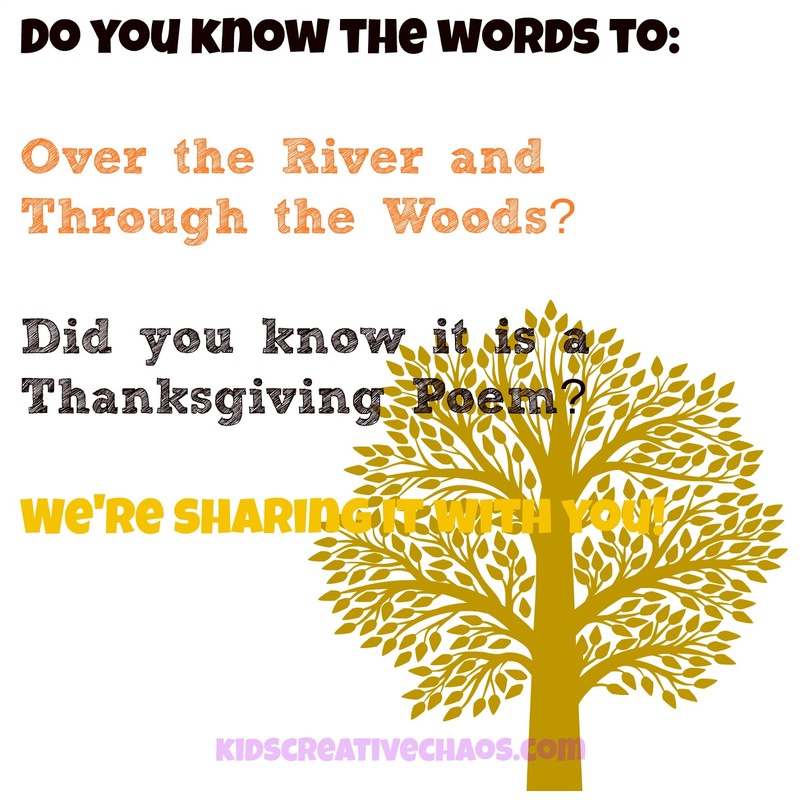 Over The River and Through the Woods Poem for Thanksgiving. Need some music for your next Thanksgiving holiday event? Over the River and Through the Woods is a fun song to sing on the way to Grandma's house for Thanksgiving! Most people think it is a Christmas song, but it was originally written as a poem for Thanksgiving. Enjoy! The image is sized to use as a FREE Facebook header. Save a copy and add it to your page or profile. Growing up, we sang this Thanksgiving song every year on the way to Grandma's house for Christmas.